The knowledge in and around the healing effects of honey has been known throughout the ancient cultures, as well as in Ayurveda. In order to produce a kilo of honey, bees need to work exceptionally hard. A single bee would have to circle the Earth seven times. But honey is worth all the effort. For bees, it is an invaluable source of food and eneergy. For humans honey supplies energy additional effects. In recent decades countless studies have shown repeatedly what the ancient Greeks, the Egyptians and the ayurvedic teachings have long known: honey promotes natural healing powers for the body. Primarily honey prevents bacterial growth, by extracting the water. In addition, the enzyme glucose oxidase is present in honey and converted into hydrogen peroxide in the body, which has disinfecting properties. In addition, honey has many vitamins and minerals that support and strengthen the immune system. The knowledge in and around the healing effects of honey has been known throughout the ancient cultures, including Ayurveda. Honey, which is also regarded as an outstanding source of food, is used for medicinal purposes in ayurveda. Different types of honey is described in classical writings, that is most similar to a high-quality liquid forest honey with bitter taste. The honey should be stored for at least one year before it is consumed. The effects described can only be experienced then. Although honey is sweet, it reduces kapha. Very interesting and of course great news for people with increased Kapha. 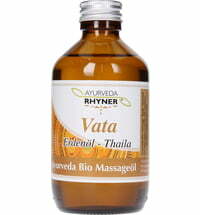 Due to the astringent and dry qualities it can even help the body lose weight. The reducing effects are unfolded when honey is dissolved in warm water (one teaspoon of honey per glass of water). Honey was mainly used in Ayurveda for respiratory diseases. It is said to be beneficial for the voice as well as soothing coughs and asthma. 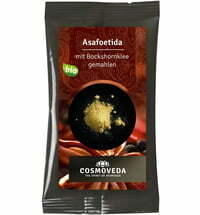 It is also said to have beneficial effects on the heart and for the skin. Honey helps digestion and metabolism, and has been used to heal wounds in Ayurveda. Honey is incorporated as a carrier substance for remedies in Ayurveda, because it strengths the effect, transporting it into the tissues of the body. However, it is also used due to its taste. The classical writings warn not to heat honey. This is confirmed by modern day research. Flavours and important enzymes are destroyed at temperature above 40°C. According to Ayurvedic knowledge, heated honey has long term effects. It even goes as far as describing that it has toxic effects, because it contaminates the blood tissue, which can eventually lead to liver disease, inflammation and skin problems. (For a more detailed explanation of the tissues please click here. Honey should not be consumed in large quantities as it increases Vata.